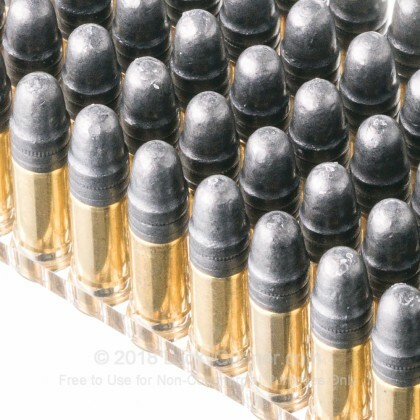 Buy Your 22 LR Ammo In Bulk And Save Hard-Earned Money! 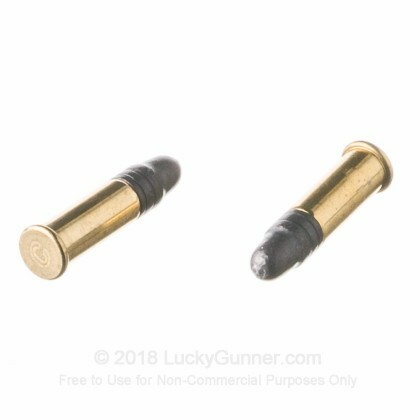 This CCI product is great for target practice, plinking or hunting. It is economical, reliable and guaranteed to bring fun and enjoyment. It is new production and non-corrosive. 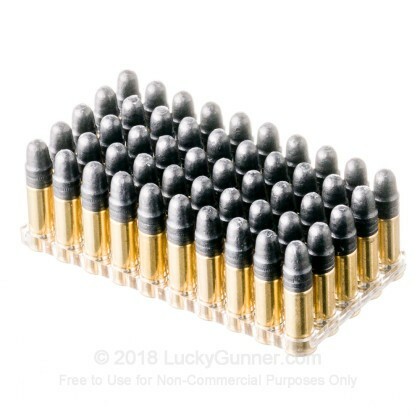 We don't have any reviews yet for this particular .22 Long Rifle (LR) ammo from CCI. 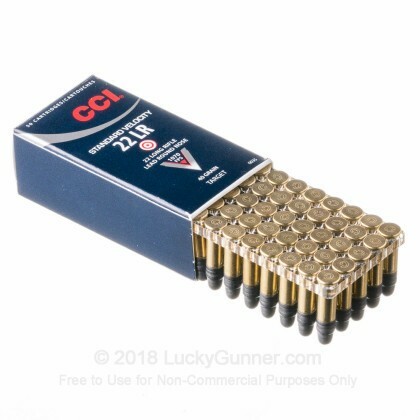 If you'd like to be the first to review this particular .22 Long Rifle (LR) ammo from CCI, fill out the form below. 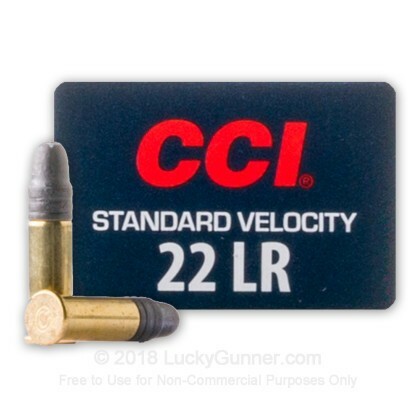 We also have this 22 LR - 40 Grain LRN - CCI Standard Velocity - 50 Rounds ammo in stock in a smaller quantity. 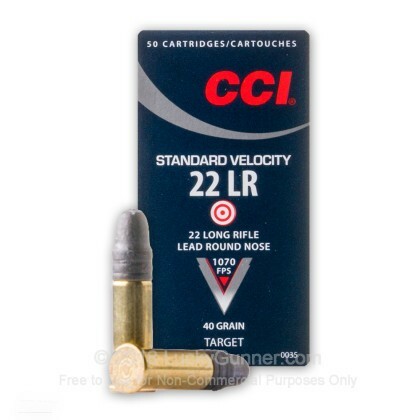 We also have this 22 LR - 40 gr LRN - CCI Standard Velocity - 500 Rounds ammo in stock in a smaller quantity.